After a short war between the DVD formats the manufacturers rearranged the forces and started the war anew. The diplomacy won, and the former rivals from DVD+ and DVD- camps got united under the DVD-Dual banner, while the conservative part of followers of the DVD- format and adherents of the DVD-RAM formed a union under the DVD-Multi format. The rumor had it that the DVD-Multi camp was going to invite the DVD+ format but the DVD-forum stood against that. Unfortunately, good initiatives able to bring benefit for end-users often perish because of such infighting. But let's not mourn over what's lost and look at the results of the DVD-Multi format establishment. 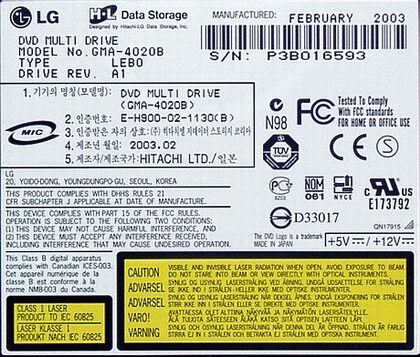 The tests will be carried out for the DVD-Multi drive from LG. The drive came in in the Retail package. 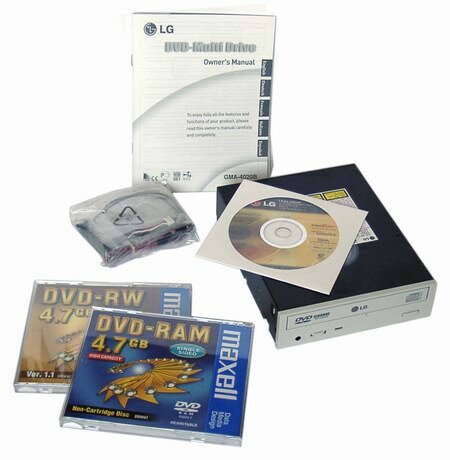 Beside the drive the box contains two blank DVD-RW and DVD-RAM, CD with software (drivers for DVD-RAM, software for CD/DVD recording, WinDVD player), installation guide, cables (interface and audio) and bolts. The front panel design is standard: the front side houses the Eject button, a headphones connector and a volume level control. The other sides are painted black which makes the drive looking more considerable. 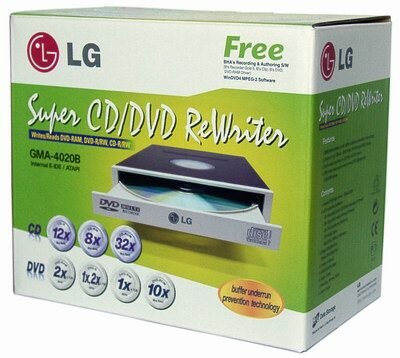 The tray supports only DVD-RAM media which can be used without a cartridge. At the moment it can be DVD-RAM Type 2 discs (which can be take out of the cartridge) or DVD-RAM discs produced without it. 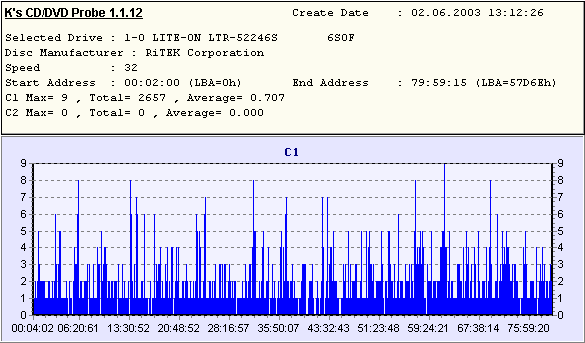 The label on top proves information on the location and time of production and indicates the hardware revision. The installation caused no problems. A user is offered a standard procedure, like that for an ordinary CD-ROM drive. As a standard optical storage device the drive needs no special drivers. Yo can do just with the NeroBurning Rom ver 5.5.10.20 which identifies the drive correctly. As you can see, the buffer size is a bit smaller than specified, - probably, a part of it is taken by the drive's firmware. If you want to use DVD-RAM discs in the removable disc mode, you have to install drivers bundled with the drive. The installation process is entirely automatic, - you must only choose necessary components. Now we have the drive as a standard optical drive and as a removable disc. 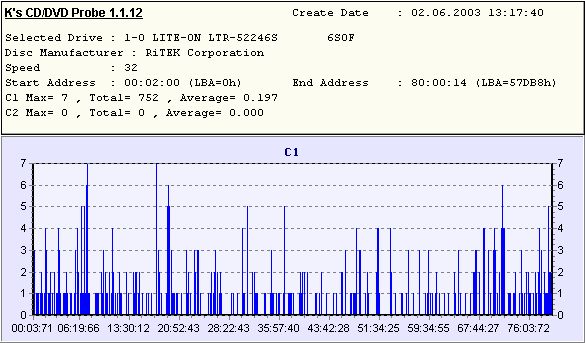 As you can see from the screenshot, it's still impossible to turn the drive from RPC-2 to RPC-1 (according to www.firmware-flash.com). However, you can use the DVD Region free program which provides the regional protection. 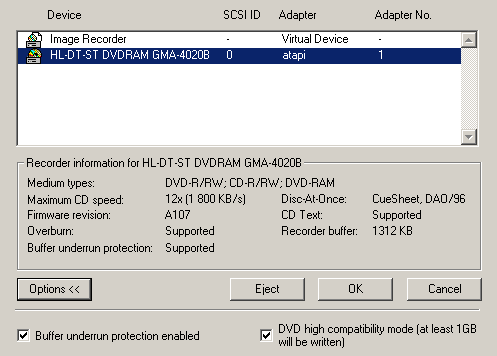 EAC (EAC Configuration Wizard) tells us about Audio CDs. Well, now when we have preliminary information on the drive let's dive into the tests. First let's record a DVD-RAM disc. As I mentioned above, a user is offered two ways of using the drive. 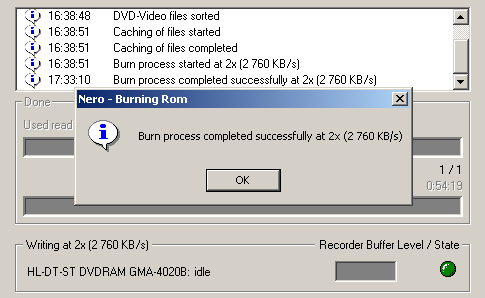 If you do not install the drivers for DVD-RAM, you can use, for example, the Nero Burning Rom. I tried to record a test array I used to DVD-R recording and found out that it was impossible since the disc didn't have enough space. It looks strange because the DVD-RAM size specified coincides with the size of DVD-R media. 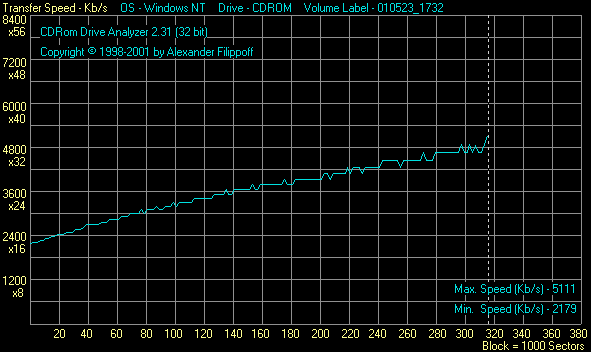 As it turned out later, the DVD-RAM measured 4369 MB according to Nero while any DVD-R equals to 4489MB. The difference is not great, but it exists. Fortunately, no more unexpected problems popped up. Although the disc must be recorded at 2x, the actual speed of burning is 1X. This is a very unpleasant fact to know for users who count on fast recording of DVD-RAM media. We supposed that the speed might change with the DVD-RAM drivers. When we installed them, we could use the DVD-RAM drive as a removable disc drive. Then we had to choose in which standard to format the disc. The formatting takes 30 sec at most. Different formats allows for different disc sizes, but the gap between them is intangible. Unfortunately, we noticed no speed growth, the speed was even lower than when the drive was used without the drivers as a simple optical drive. 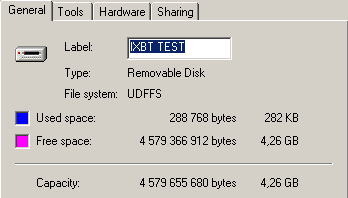 UDF 1.5(2.0) - 1 GB in one file - 15:45 min. FAT 32 - 1 GB in one file - 14:25 min. In case of DVD-R media, the recording process was standard. 2X for recording DVD-R is too low for today, but on the other hand, it's sufficient for a multi-format drive, especially because 2x discs make the most part of DVD-R media available on the market. 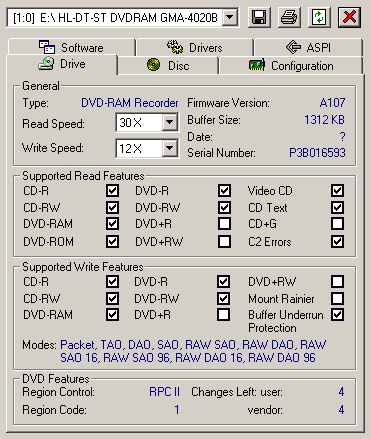 The drive works successfully with all trade marks of DVD-R discs. 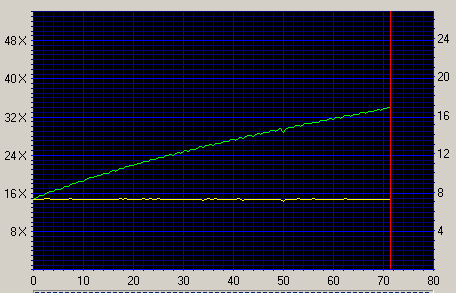 Drive recording at 1x, min. recording at 2x, min. Drive fast clearing, min. burning at 1x, min. 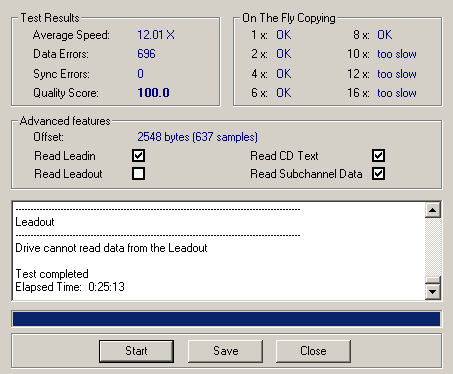 All DVD recorded passed the control reading test on two reference DVD-ROM drives Toshiba SD-M1712 and Pioneer DVD-117LJ. The tests on the home DVD player BBK 939 revealed no problems with reading, the movies were played without any artifacts. The drive flawlessly reads all types of recordable DVD media, including multiborder DVD discs. Traditionally, we used two types of media - with cyanine and phthalocyanine coating. The number of the trade marks were lift up to 4, 2 of each type, to provide more information of how the drive treats discs of different trade marks. The burning results will be partially represented in the graphical form. The screenshot above looks the same for all trade marks of the discs. The write speed was the same for all trade marks and types of the media. 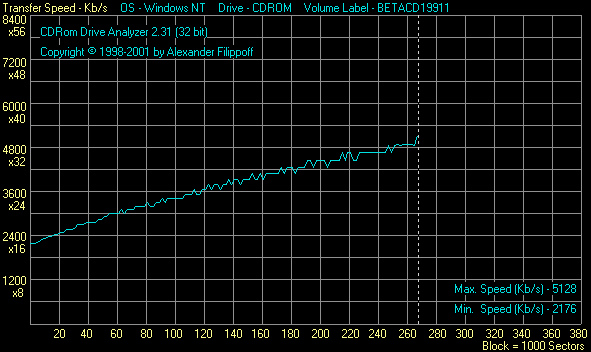 We also tested ability of the drive to record cyanine discs at the minimal speed, - this mode is usually used by music lovers to get the highest quality sound. 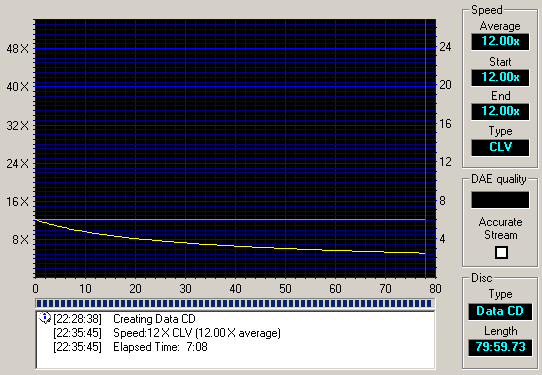 To extend the picture, I added the burn results of the Verbatim CD-RW 10x. 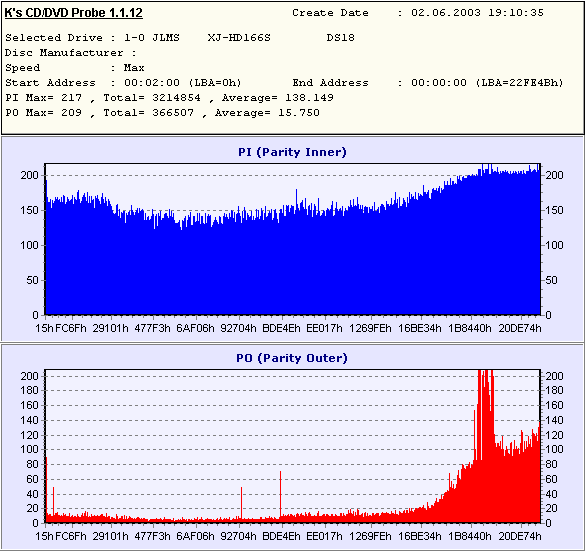 CD-RW recording in UDF format, 530 Mb test packet in 3550 files. The drive reads and burns 80mm discs quite well. 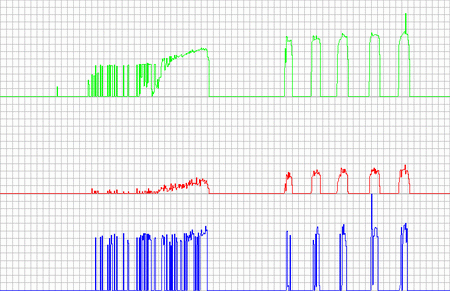 The error level is not low, but it's not very high either, that is why the record quality can be considered acceptable. The level of errors is not that high. Later we will publish the test results obtained with the professional equipment CDCATS SA3, and then we will see who is right in this test. Note that the drive correctly reads Subchannel Data. In general, the drive copes well with this test and demonstrates a good kit of tools for quality audio track extraction. 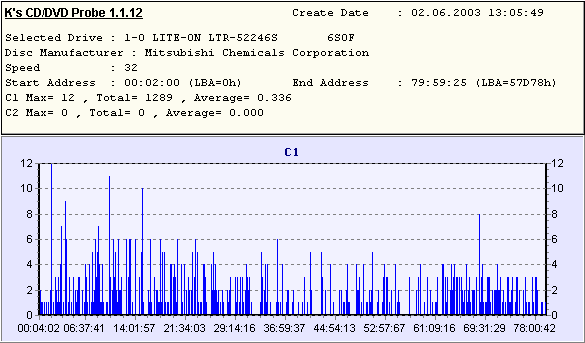 LG GMA-4020B - 10 min. 04 sec. The Seek operation is followed by terribly loud sounds, this is probably the noisiest mechanism that controls optical system mechanical processes. In all other respects, the noise level is acceptable. 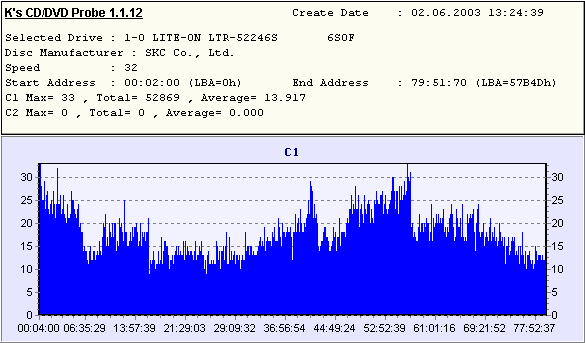 The drive doesn't generate much heat when working over a long period. But I don't recommend to place any devices close to it to avoid their overheating. The drive worked decently with such discs. Although it vibrated and made noise at a larger speed, it managed to finish reading the disc. So, first of all it is the weak points that catch the eye; a very low speed of operation with DVD-RAM, and just rudiment tools for CD recording. But they are offset by support of reading of all optical disc types and support of burning of several media types. That is why I think the drive will find its place on the market. As for us, we will keep on following the development of this market sector.